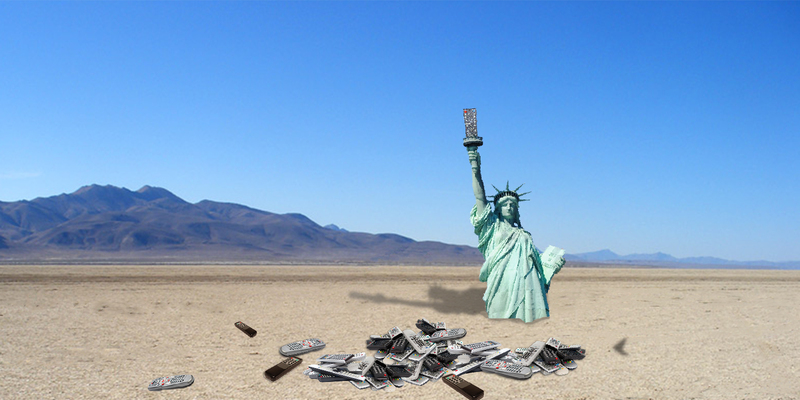 Send us your poor, tired, spare remotes for TVs and games, huddled, oppressed, and yearning to breathe free. We turn old remotes into radically cool camp stuff. Get your free MOOP bag! Trade your collected MOOP for fabulous prizes! Camp Remote Control is energy efficient, radically accepting, and dedicated to leaving Black Rock City better than we found it without sacrificing one tiny bit of fun. We are completely powered by the hot desert sun, not noisy, smelly genertors. Solar panels charge batteries that power our lights, music, shower, toys, and everything else. We are committed to Leaving No Trace and helping others do the same. We give out handcrafted MOOP bags made from fabric scraps and recycled clothing. Return yours and we will empty it , applaud you, and offer a fabulous prize. Anyone is welcome to drop by to visit, unwind, help out, join the party, decorate your bike, share a meal, dress up (or dress down and make even more friends), sing, dance, be yourself, chill, and feel safe. We are a group of fun-loving, artsy, craftsy, geeky guys—both virgins and veterans—who have banded together to bring our unique vision to Black Rock City. We are about repurposing, remaking, reworking, recycling, and rethinking. 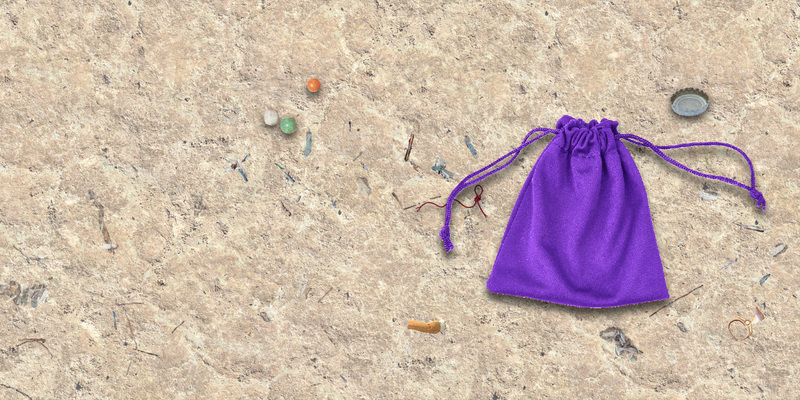 We remake old clothes and scraps into MOOP bags. We rework discarded TV remotes into decorations, lamps, art, and objects of wonder and affection. Visit us and we'll show you how we do it. 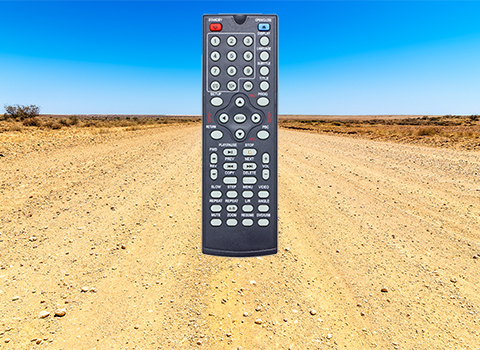 You're welcome to cuddle up to a remote and relax with us. Come by the camp to get your own handcrafted fabric bag. Fill it up with MOOP found on the streets and the Playa and return it to thunderous applause and choose a fabulous prize. Remote Control is accepting applications for possible 2019 openings. The application form is HERE. 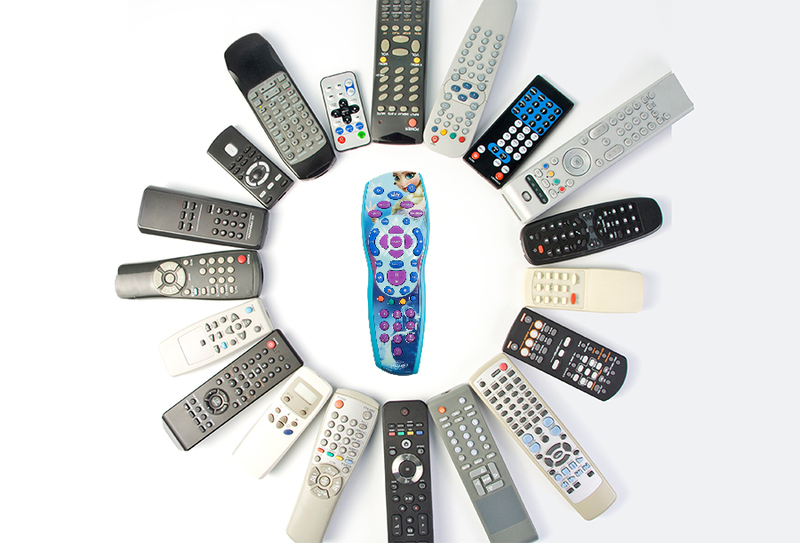 If you have any spare remotes to donate, let us know and we'll make arrangements to get them. We accept donations to build our art projects and supporting camp. Remote Control on Facebook. Check out posts, ask questions, whatever. Burner Costumes. Get inspiration for festive outfits and contribute your ideas. Burning Man. The organization. The Mother Ship. 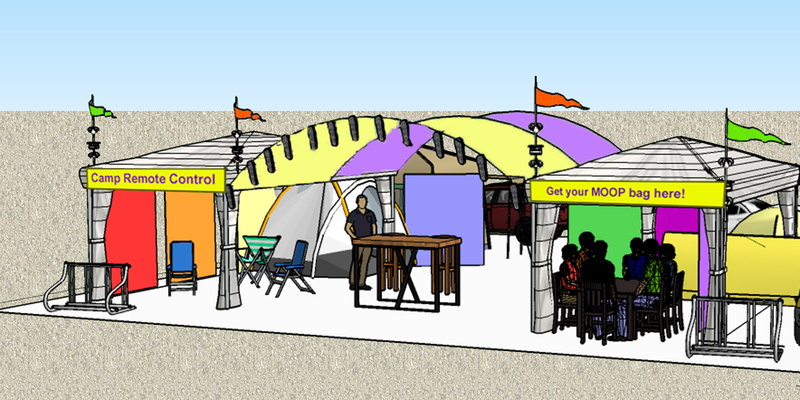 Answers to all things related to Burning Man.